Kairest Ltd overturns the myth that a company that offers services around Finland should be located in growth centres in order to succeed. The home of Kairest Ltd, which is running a business worth millions, is Pielavesi in the heartlands of Savonia, the birthplace of Urho Kekkonen, Finland’s longest-serving President. The company concentrates on personnel hiring, financial administration and training services, and catering, restaurant and accommodation services. Kairest Ltd, which has operated in the field for more than 25 years, is one of Finland’s oldest personnel hiring companies. “There has been a lot of turbulence in the field, but dependability, speed, reliability of delivery and a precise understanding of the needs of customers have helped our company to better and better results in terms of both the expansion of the customer base and the company’s own financial results,” says the CEO, Jorma Härkönen. The founder of the company and Chairman of the Board, Seppo Ruotsalainen, is a hardened professional in the restaurant and cooking field from Pielavesi itself. Ruotsalainen is an internationally award-winning master chef and exercises influence in a diverse way in organisations in the field. “Over the years, I’ve built up a lot of experience, so I know what a great party is, or good service and excellent food, whether it’s a case of a gala evening or family party, international delicacies or domestic local food,” says Ruotsalainen. 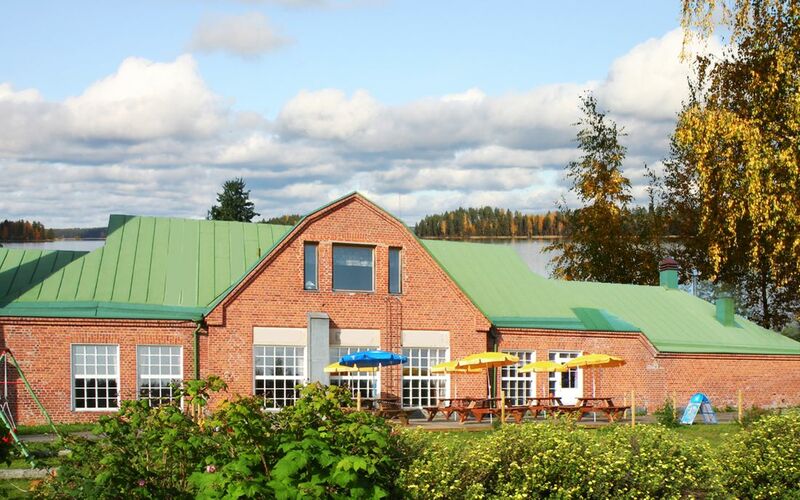 In the reservation restaurant Juhlaranta run by Ruotsalainen, situated in the surroundings of an old dairy, the best produce of the season is on offer, with a respect for the raw ingredients. In addition, service and cooking training courses, for both amateurs and professionals too, are held in Juhlaranta. Meanwhile, Kairest customises training packages on occupational well-being, changes relating to managerial work and leadership of know-how at both Juhlaranta and elsewhere in Finland. Jorma Härkönen sees the location of Kairest in a small municipality as a resource, not as an obstacle. “Modern technology makes all information transferral possible easily and quickly. An effective training course and conference are easy to arrange in a peaceful, naturally beautiful place, far away from the commotion and disturbances of towns. Accommodation services keep the group together in events that last for several days too. Catering and tableware renting services can be arranged for up to 2,000 people,” says Härkönen. Kairest is a good example of how a successful company is a shot in the arm for a small municipality. “These days, location is an obstacle to growth for most companies only in their own minds,” Härkönen reminds us. Kairest Ltd is an experienced enterprise renting for several different industries.